My parents skipped any and all details. For obvious reasons. Because face it; conjuring a tableau where some super-sized rodent sneaks into the house in the dark of night could seriously traumatize a kid – no matter how beatific the floppy-eared beast is made to be. Add to that the wildly challenging explanation of why said uber-rabbit leaves baskets with colored eggs, jelly beans, and green plastic grass (and in my family, the Easter Bunny’s odd affinity for gifting tube socks and collared shirts from Belk’s). You can see why my parents punted. I’m convinced that’s why Easter & brunch became such a no-brainer. It’s sooo much easier to explain. There’s no need to rationalize doughnuts. Or Eggs Benedict. Both are a lot tastier than that wax-flavored chocolate bunny – with or without the odd marshmallow filling. 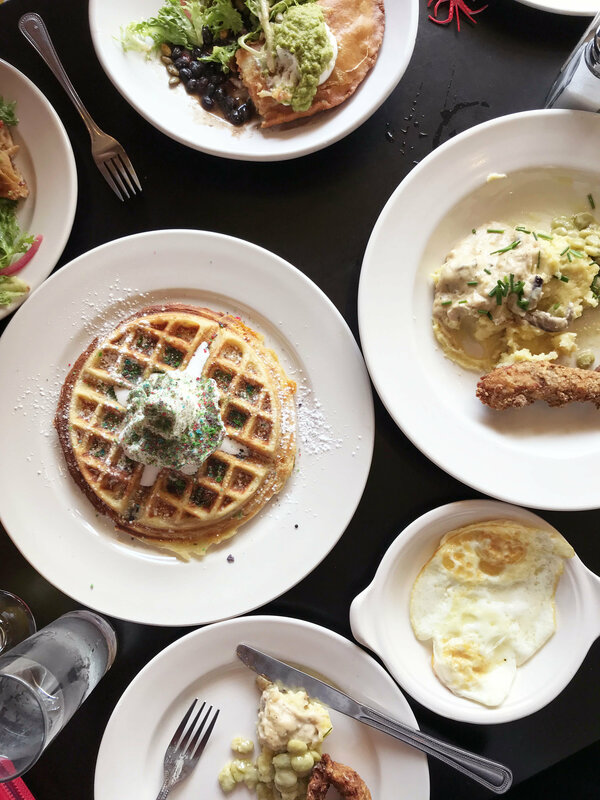 Another obvious selling point is that brunch is downright easy. And festive. And, well, mimosas. That about sums it up. Because, really, wouldn’t you rather have us get up before dawn and do all that cooking? Just saying. Easter Brunch at Acme. Sunday, April 21st. 10am – 3pm. I heartily recommend calling us for reservations (919 929 2263) as the day is always one of the busiest brunches of the year. Once we have a dependable weather forecast, we will make a call about patio reservations. My guess is we’ll know by Wednesday (4/17) of next week. It’s going to be a great day. And if you’re concerned, bonnets are completely optional – fashionable, but optional. There are still 6 tickets left for our Argentine Wine Dinner next Thursday, April 18th. It’s a five course all-out red wine fest with the renowned Stephanie Morton-Small of Finca Decero. Tickets are $75 and can only be purchased by calling the restaurant. Menu is below. These last tickets will go fast. We’ll get things started at 6:30. I hope you can join us.